We designed the graphics for this 12,000 sq. ft. traveling exhibition. 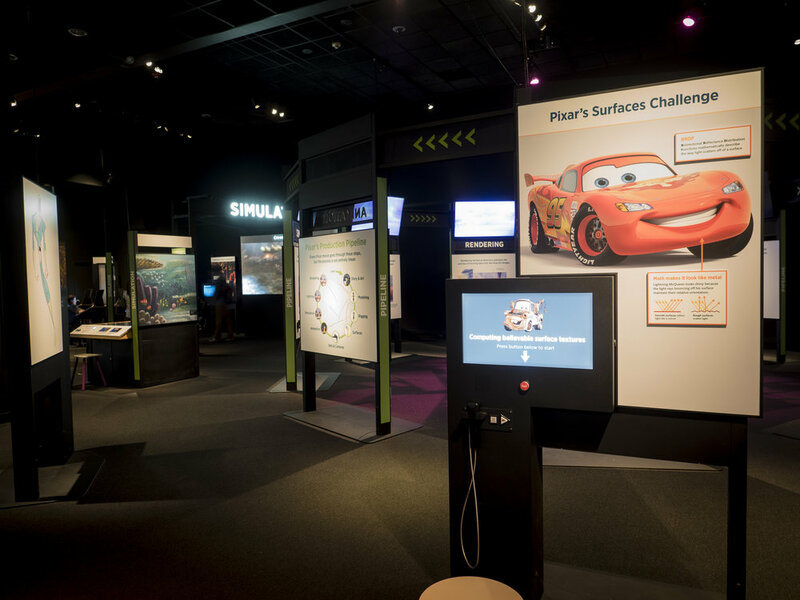 It was developed at the Museum of Science, Boston in collaboration with Pixar Animation Studios. 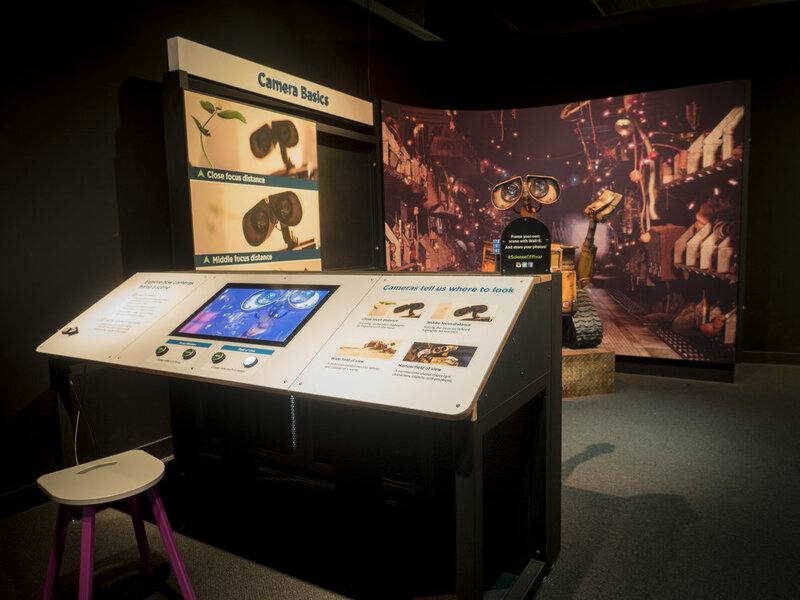 Collaborated with the exhibit development team to create an educational, fun and accessible experience for visitors. 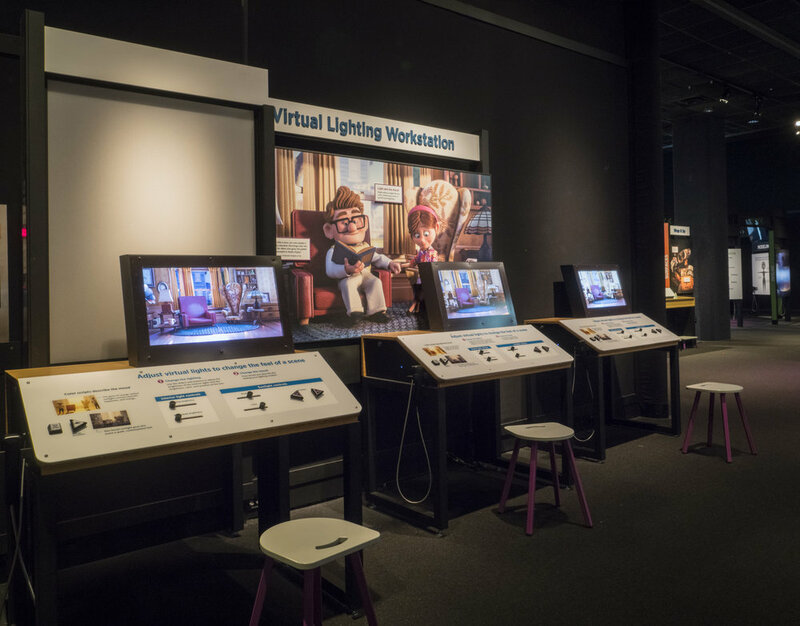 Designed over 300 unique graphics and created the label strategy and hierarchy for the exhibition. 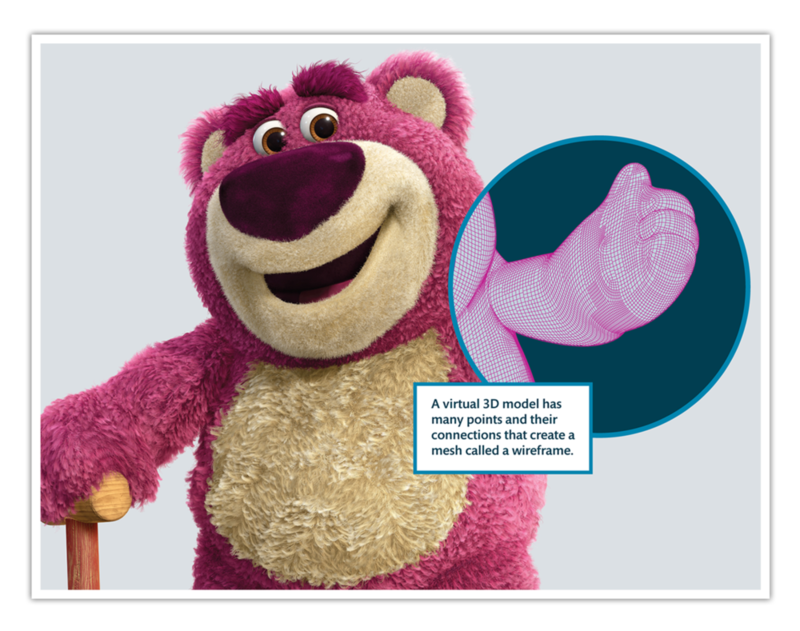 Met regularly with the team from Pixar and adhered to their rigorous design standards. Managed the print production of hundreds of unique graphics. 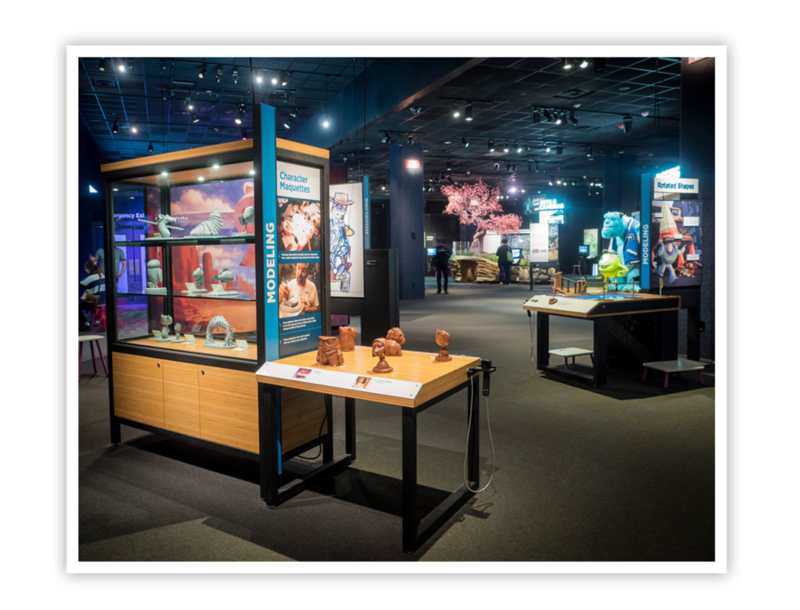 Designed the exhibi tion logo and key art which is featured in marketing campaigns nationally. 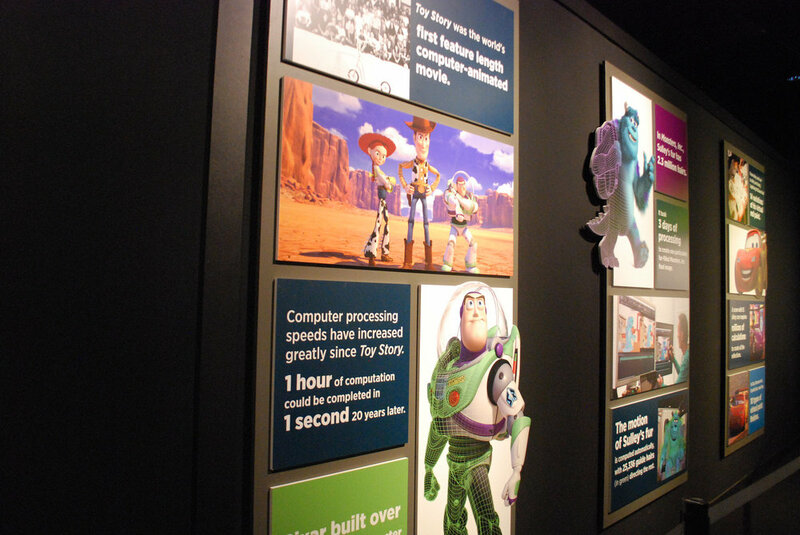 We used Pixar films' beautiful imagery and iconic characters in the exhibit graphic design as much as possible. This usually meant blowing up the film stills or character poses to the full size of the graphic panel. 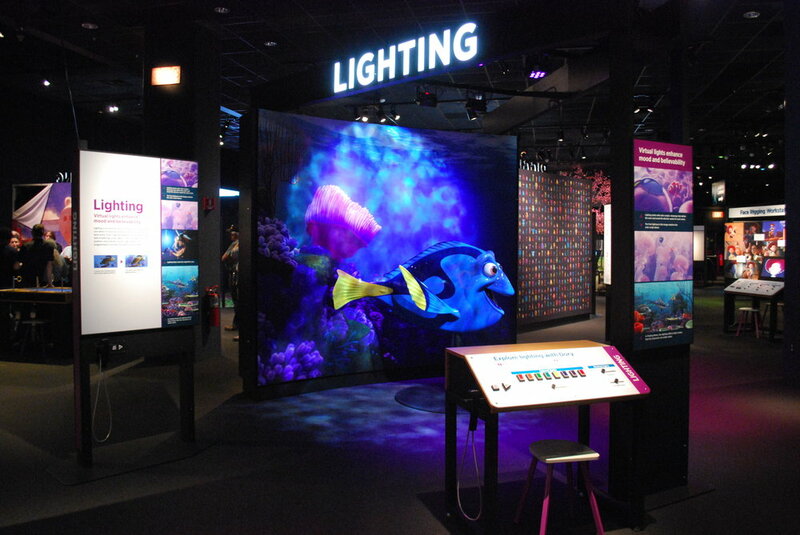 We chose colors for the exhibition sections that would coordinate with the bright and saturated colors in the films. Through testing, we discovered that not many visitors were reading paragraphs of text in our initial mockups, so we came up with the strategy of breaking up the text into bite-sized chunks and overlaying them on top of the images. This way, visitors will be initially drawn to the image, and be able to learn more about it when they get up close. We used overlays, "x-ray" views, text-callouts, and process shots over the film stills to reference the math and science concepts that go into film-making. 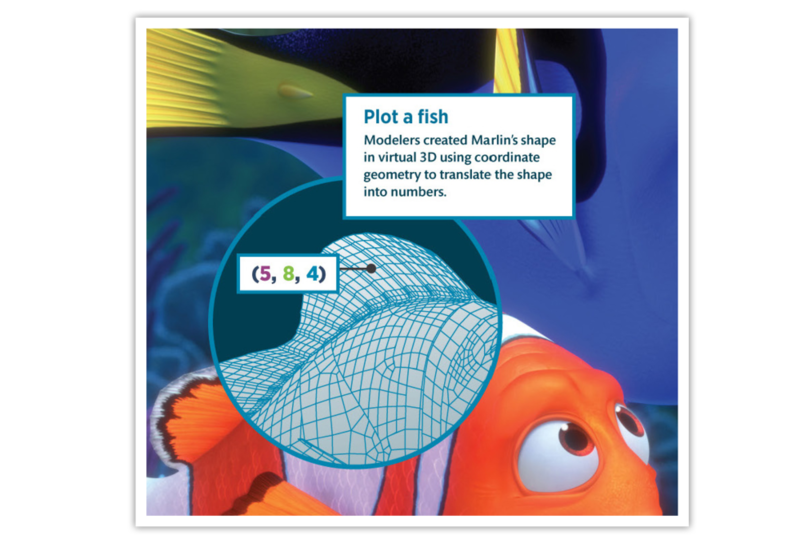 In this particular example – you see an "x-ray" view into Marlin's 3D wireframe, and the underlying coordinate system used to create 3D animated characters.